I may be a juvenile, but not for long! Have you heard the power of my SQUAWK? 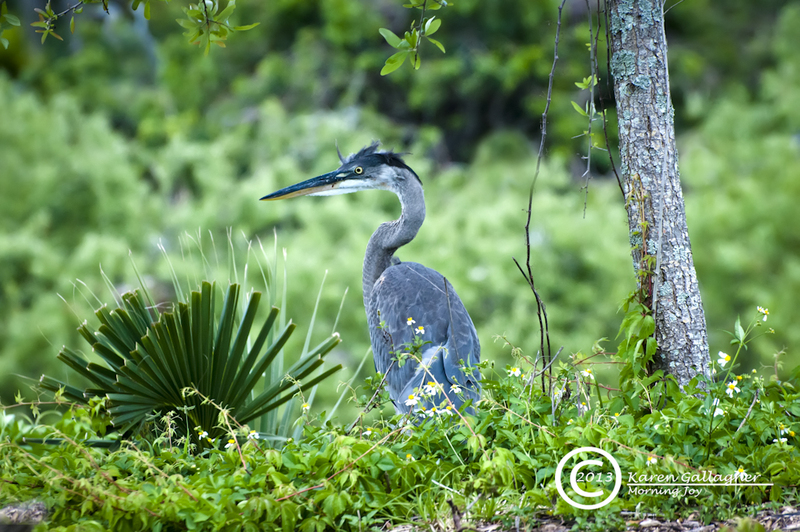 I found this juvenile Great Blue Heron at the Venice Area Audubon Rookery on Florida’s west coast. It sat, seemingly mesmerized, alone near the pond shoreline. About ten feet away, sat a mature Great Blue, presumably a parent on watch. Both birds allowed me to approach with my camera, the adult comfortable enough to take a nap. Amused by the young bird’s disheveled feathers, I captured this photo.